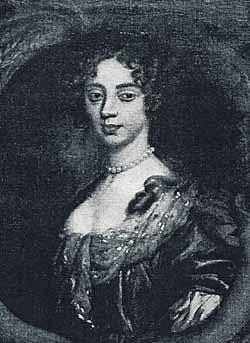 Lucy Walter was one of the first of many mistresses of King Charles II of England. She came from a moderately well-to-do family and was the king’s mistress for a short time while he was in exile on the continent during the English Civil War. 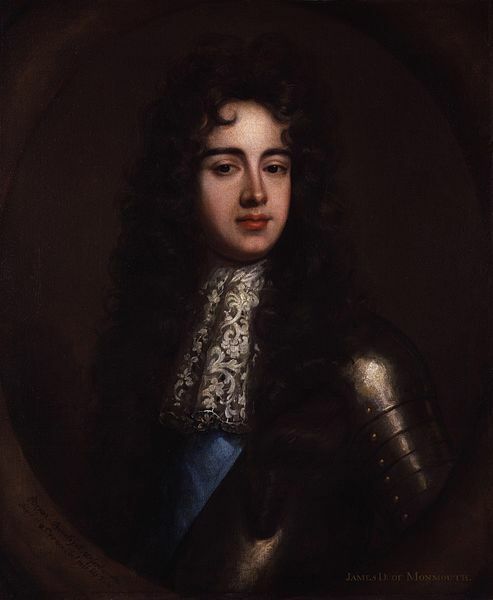 Charles was the acknowledged father of Lucy’s son James, Duke of Monmouth who was born on April 9, 1649. This son would later cause a political crisis when he led a rebellion against his uncle King James II, claiming Charles had married Lucy and therefore he was legitimate and heir to the throne. 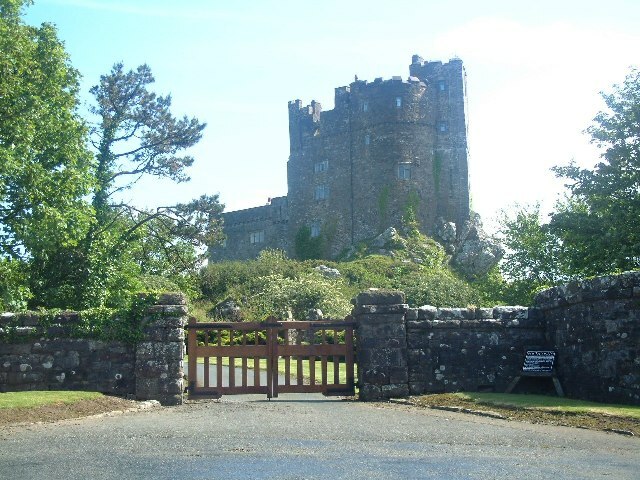 Lucy was born circa 1630 at Roch Castle near Haverfordwest, Pembrokeshire. Her father was William Walter and her mother was Elizabeth Protheroe, a niece of John Vaughan, first earl of Carbery. Her parents were a part of the Welsh gentry and her mother brought a dowry of £600 to the marriage. Lucy didn’t receive a formal education but she did learn the required social graces which allowed her to mingle with good society. She had two brothers Richard and Justus. Her parent’s marriage was tempestuous and they separated in 1640. William Walter remained at Roch Castle and the rest of the family went to live with Lucy’s maternal grandmother in London. In May of 1641, Lucy’s mother petitioned the House of Lords stating her husband had deserted her and denied her maintenance. The Lords demanded Walter answer the charges. He countered that he had not received her £600 dowry and his wife had been unfaithful to him. He said he only had £100 per year to maintain himself. In June, the Lords ruled that Elizabeth was to attempt to return to her husband. He refused to take her back and was ordered to pay her £60 per annum. In the meantime, Lucy’s grandmother contracted a second marriage and the Walter family was left to their own devices. In 1642, the Lords sequestered William Walter’s estates and in 1644, Roch Castle was surrendered to Parliament during the English Civil War. When Lucy was seventeen, the Lords ordered that she and her brothers were to be returned to their father as their mother could no longer afford to keep them. While Lucy was in London, she may have become acquainted with the family of Algernon Sidney, tenth Earl of Northumberland through contacts with her Protheroe relations. Algernon Sidney later told King James II he had purchased Lucy’s services as a mistress for forty or fifty gold pieces but was subsequently called away to guard Dover Castle with his regiment and missed out on his bargain. 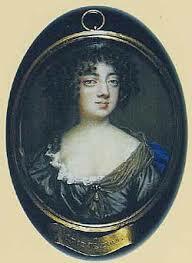 Lucy decided to search for new lovers among the many young aristocrats who had gone into exile in the Netherlands with the Prince of Wales, the future King Charles II. Lucy made her way to The Hague via Paris with her uncle (according to Fraser) or she may have sailed there on her own. Once there, she befriended Robert Sidney, brother of her friend Algernon Sidney. She briefly became his mistress. In May of 1648, a portion of the parliamentarian naval fleet mutinied and sailed to the Netherlands to join up with the royalist exiles. Prince Charles quickly made his way from France to Holland in July for a brief visit to have a look at his new fleet. Lucy managed to meet and charm Charles and seduce him and she became pregnant. It is unclear if she and Charles resumed their relationship when he returned to the Netherlands in September of 1648. Her son was born in April of 1649 and he was named James. The boy was placed with a nurse in the home of a merchant named Claus Ghysen in Schiedam, just outside Rotterdam. Lucy found lodging in Antwerp and Charles left for France. Charles’ father King Charles I had been executed on January 30, 1649 and the Prince became King Charles II. Charles’ attention was increasingly focused on political matters during this trying time and he would not have had time to sneak off and make a secret marriage. He also knew his marriageability was one of the bargaining chips he had available in getting back his throne. Possible wives being considered for him at the time included Dutch, Spanish and Portuguese princesses. Lucy had taken to using the name of her kinsman John Barlow of Slebech. She would be variously known as Lucy Walters, Lucy Waters, Mrs. Barlo, and Mrs. Barlow. Her reasons for this are unknown. After meeting the Queen, Charles departed for Jersey in September. Lucy may have accompanied him there. Charles was then away fighting in Scotland and England for the next two years. During this time she became the mistress of Colonel Henry Bennet (later Earl of Arlington). We next find Lucy back at The Hague in June of 1650. There was an attempt to kidnap her son that year. He was missing for ten days but was eventually found. Lucy suspected Commonwealth operatives. To secure James’ safety, Lucy decided to remove him from Schiedam, taking him first to Boxtel near Breda and then eventually to Paris. While in Paris, she took as her protector Theobald, second Viscount Taafe. She gave birth to a daughter Mary in 1651 and she was presumed to be Taafe’s child. Charles refused to recognize this child was his. When Charles returned to the Netherlands in 1652, he made it clear to Lucy their relationship was over. Lucy refused to accept this. Over the next four years, she caused Charles much trouble, creating disreputable scenes. Lucy considered marrying Sir Henry de Vic, an Englishman who lived in Brussels and she had Charles’ approval to do this. If she was actually proposing to marry this man, it would constitute bigamy if she was already married to Charles. After her relationship with Taafe was over, she returned to The Hague with her two children and took up with Thomas Howard, the earl of Suffolk’s brother. In 1656, she was in Cologne where some of the King’s friends promised her a pension if she returned to England. She was given some cash and a pearl necklace and sailed from Flushing to England with her two children, her brother Justus, Thomas Howard and a servant named Ann Hill. The party found lodgings above a barber shop opposite from Somerset House in London. Unable to live tranquilly, she came to the notice of the edgy republican government who had her arrested as a potential spy and she was thrown into the Tower at the end of June. She was interrogated in July and Cromwell’s intelligence department decided that not even the royalists would employ her as a spy. Upon the orders of the Protector, she was deported back to Flanders. By now Lucy was abandoned by Thomas Howard and was penniless with two children to feed. Charles was unable to pay her the promised pension. She started threatening Charles with releasing his letters to the public if he did not pay her allowance. Charles decided he wanted custody of his son James. There was a botched attempt to kidnap him in December of 1657. In March of 1658, one of the spymasters of the king, Thomas Ross, managed to successfully capture the boy. James was sent to Paris in the care of a gentleman of the King’s bedchamber named William, Lord Crofts. Young James adopted this man’s name as his own. Lucy was irrevocably separated from her son. By this time she was in Paris and suffering from venereal disease. On her deathbed, she made a general confession of her life to Dr. John Cosin, the future bishop of Durham. In this confession she purportedly insisted a marriage had taken place between her and Charles. She also supposedly provided Cosin with documentary proof of the marriage which he kept in a “black box”. When Cosin died in 1671, the “black box” supposedly came into the possession of Sir Gilbert Gerard, son-in-law of the bishop. Lucy died between August 29 and December of 1658. Her aunt, Ann Busfield, acted as executor of her estate, administering the goods, chattels and debts. Lucy was supposedly buried in the Huguenot Cemetery in the Faubourg St Germain in Paris. This burial ground was later confiscated by the Revocation of the Edict of Nantes in 1685. Destruction of the Huguenot churches was decreed and this particular site was converted to secular purposes. The register of burials was destroyed so her grave can no longer be found. Charles was restored to the throne of England in 1660 and recalled his son James to England in 1662, showing him much favor. He was given many riches and honors, including the title Duke of Monmouth. Due to his nomadic, unstable childhood, Lucy’s son James was poorly educated and could barely read and write for the rest of his life. What little education he had included instruction on the rites of Catholicism but he never actually adopted the religion. This nuance became important in the years between 1673 and 1680. King Charles and his queen Catherine of Braganza never produced an heir who could inherit the English throne leaving Charles’ brother James as his heir. James was a Catholic and there were many in England who didn’t want a Catholic monarch so during these years, they started a rumor that Lucy and Charles were married and therefore the Duke of Monmouth was legitimate. A search for the mysterious “black box” was undertaken for proof of the marriage. Sir Gilbert Gerard was summoned before an extraordinary meeting of the Privy Council convened by the King in January of 1678. Gilbert swore he knew nothing whatsoever of a marriage contract. The king also denied the marriage. Two months later Charles, made a declaration to four of his councilors, including the Archbishop of Canterbury that he had not married Lucy. In June of 1678, he reiterated the declaration before his entire council and committed it to paper. It was signed by sixteen councilors and Charles signed it with his own hand. It was entered in the council book and registered in chancery. 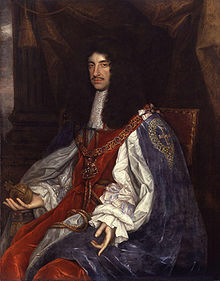 King Charles II died on February 6, 1685. His brother James became King James II. Later that same year, the Duke of Monmouth raised a rebellion against his uncle. The rebellion was crushed after the Battle of Sedgemoor and Monmouth was beheaded. James attempted to enforce religious tolerance and integrate Catholics into government positions. This angered many Protestants. They requested that James’ daughter Mary and her husband William of Orange come to England. In the Glorious Revolution of 1688, William invaded England, James was deposed and William and Mary became the new monarchs.